One of the first questions when it comes to transporting a yacht by sea is, “How much is it going to cost me?” This is an understandable question since this isn’t exactly an investment that everyone is prepared to make in a matter of a day. Planning ahead for this sort of expense is needed which we are happy to help with, in fact, we welcome the “cost” question. At the same time, there is no way to answer this question without knowing what kind of vessel we are talking about. Some factors have to be weighed in order to know what kind of price-point a boat owner needs to prepare for. While some boats can cost just a few thousand dollars to ship, others can come in well into the tens of thousands of dollars easily, depending on the vessel and destination. Here are the factors that determine what it costs to ship a vessel by sea. Cargo size is the first determining factor in calculating what it will cost to ship it overseas. Larger superyachts tend to need additional resources, equipment, and structures to be built to accommodate them. In contrast, smaller sports fishing vessels require more basic considerations. We will need a vessel ’s specifications such as the length overall, beam measurement, height measurements and estimated weight of the vessel. Once we have these dimensions, we can calculate a price depending on the other factors listed below. United Yacht Transport serves several destinations around the world which all come with a different price point due to the various regulations and distances from our facilities. The more mainstream the destination, the more cost-effective it will be for the boat owner. When vessels go to more remote locations, the price point is likely to increase due to the varying logistics required to get it there. We suggest giving us a call to find out more about specific destinations and how they will impact the overall expense. Throughout the year, yachts make regular shipping voyages to other parts of the world which makes transporting them during this time more cost-efficient. For example, in the Spring many vessels will travel from the Caribbean to the Mediterranean to spend the Summer in that region. The many boats traveling together creates more business which allows us to spread out costs, like fuel, among many customers. Just as in most businesses, relationships and partnerships are essential to marine transporters. The success of these relationships reflects in the price points offered two customers. United Yacht Transport builds relationships across multiple networks to ensure their customers are getting the best shipping prices. We negotiate when necessary and can even work with new operators who service unique destinations due to our marine industry relationships and reputation. Ready to learn more about shipping a vessel across the ocean? We welcome any and all questions about what we do and how much it costs by reaching out to us and requesting a quote. We cover all the logistics to transport including customs clearances and insurance. Connect with us today! Whether you are set to take a vacation in the Mediterranean, Caribbean or fall trip to Central America on your yacht, you’ll want to keep yourself and guests cool and refreshed with a top-notch signature cocktail that captures the flavors and feeling of summer. Your signature cocktails can set the tone of your vacation just as much as a day at sea with nature, quiet and beauty. Can’t you just picture it? Your family and friends mingling on the yacht, under the basking of the sun, sipping on something slushy or fruity or both. That has all the makings of a beautiful fall vacation that your friends and family will never forget. You’ve probably spent all season sipping on the best cocktails for fall in the Caribbean or the Mediterranean so why not mix things with something a little more through a vacation on a luxury yacht? All you need to add is a perfect cocktail to ensure the perfect treat for yourself, your family and your friends. A sweet, tropical rum drink. The original cocktail is a mix of light rum, lime juice, orange curacao, and orgeat syrup. The pineapple version is a mix of light rum, triple sec, lime juice, pineapple juice, orange juice and a dash of grenadine to finish. Shake well and top each version with dark rum. If you like piña coladas and getting caught in the rain… You know the song! This creamy concoction is a blend of pineapple juice, light rum, and cream of coconut. Top with a wedge of pineapple as a garnish, and you will be transported to tiki land! One of the most popular summer cocktails in North America, the margarita and its variations show no sign of slowing down. The margarita consists of tequila, triple sec, and fresh lime juice, and often has salt or sugar lining the glass to add some extra flavor. The name will still be heard in 19th-century sailing stories, but now more commonly known as Pink Gin or Gin & Bitters, this martini is simply gin and Angostura bitters which give the drink its pink tint. Given the references to it in sailing history, the gin pahit is a true boat drink. Our reliable transport company will ensure you enjoy the perfect vacation with your family and friends while having the best cocktails. You’ll have an opportunity to explore new places, unwind and relax, as well as strengthen ties with friends and family. If you’re looking for a reliable yacht transportation company, here’s why you should consider our services. Our shipping company makes the boat shipping extremely easy. You simply need to cover the shipping costs and ensure it’s loaded ready for shipping. Once done, you’ll be able to travel home to await the vessel. During the shipment of your vessel, our professional crew will ensure it arrives in the same condition it was prior to shipment. Furthermore, it won’t sustain wear and tear throughout the journey. This way, you won’t need to worry about spending on unnecessary repairs. Most of us enjoy sea excursions and a yacht satisfies the need for an excursion. You’ll discover that a yachting lifestyle can be sophisticated and relaxed. Moreover, the adventure can be utterly thrilling. Yachts are large enough to accommodate numerous people, making them ideal for bonding with your family and friends. This is a great advantage since friends and families lack time to bond owing to busy schedules and lifestyles. However, yachting offers a unique opportunity to catch up with friends and family while vacationing and sipping cocktails. Yachting offers numerous opportunities to explore exotic destinations worldwide. It’s also a chance to explore the sea’s beauty. Fortunately, our shipping company offers quality services to a wide range of destinations from Asia to Central America to the Caribbean to the Middle East and the Mediterranean. United Yacht Transport, the North American leader in boat transport and shipping, is celebrating another banner year. In 2017, United Yacht Transport continued to expand their position as the largest yacht carrier in North America and rapidly growing position in the Mediterranean. Paul Haber, President of United Yacht Transport, commented “2017 was a second consecutive record year for United and our momentum is continuing into 2018. All of our peak season sailings in North America and the Mediterranean were (chock-a-block) and we are adding more regular sailings in 2018. We are pleased that yacht brokers, yacht builders, and captains are continuing to refer their clients to UYT as we have become known for reliable year-round sailings, excellent customer service competitive pricing, and customized logistics solutions. Our operations and logistics team is becoming the first call for yacht builders and superyacht captains due to our repeated success in heavy lift and complex loadings. For example, in June, UYT successfully transported a 650mt boat, the 174’ Expedition “Ulucitcan”, from Port Everglades to Genoa. This was the heaviest boat any carrier has deck loaded in years. We will continue to strive to meet the individual needs of our clients and look forward to a successful 2018. We are taking bookings now for our upcoming spring season sailings in North America and the Mediterranean. Do you feel exhausted from the daily hectic schedule and seeking some unforgettable moments? Perhaps you should consider yachting. Fortunately, this isn’t complex to plan with yacht transport. Our reliable transport company will ensure you enjoy the perfect vacation with your loved ones. You’ll have an opportunity to explore new places, unwind and relax, as well as strengthen ties with friends and family. If you’re looking for a reliable yacht transportation company, here’s why you should consider our services. Our shipping company will undoubtedly save you considerable time once you hire us. Bear in mind that it would take substantial time to cruise in a yacht from your country of origin to your preferred destination. Once you hire us, you simply need to cover the relevant costs and leave us to do the delivery as you focus on other businesses. This will save you a lot of money since you won’t incur the costs required by the yacht, including maintenance and fuel. Yachts are large enough to accommodate numerous people, making them ideal for bonding with your family. This is a great advantage since families lack time to bond owing to busy schedules and lifestyles. However, yachting offers a unique opportunity to catch up with friends and family while vacationing. Regardless of the number of times you sail, you’ll never have a similar experience. Each trip offers the chance to see new places. Even if you wish to revisit a previously visited destination, the islands are constantly changing with numerous activities to try and spots to view. Yachting offers numerous opportunities to explore exotic destinations worldwide. It’s also a chance to explore the sea’s beauty. Fortunately, our shipping company offers quality services to a wide range of destinations from Asia and the Caribbean to the Middle East and the Mediterranean. If you’re seeking a shipping company for your boat or ship but don’t know where to start, consider these important qualities before making a decision. You must be confident that your chosen boat shipping company will deliver your vessel in a timely manner without any problems or confusion. Ensure you look for a company that’s been in operation for several years and can provide seamless shipping services. It isn’t enough that the service provider is just dependable. You should be in a position to use their services. If the service provider charges exorbitant prices for the shipping services, it won’t be possible to hire their services. A reputable company like United Yacht Transport is customer oriented and is committed to providing customers with the highest degree of satisfaction. We continuously adopt this approach, which plays a huge role in our success as a company. When you hire us, you won’t be disappointed and you’ll certainly enjoy our services. Another important quality of a reliable shipping company is that it should be insured, licensed, and certified; this gives the company a credible status. Beware that if the company isn’t licensed, the service provider will run into problems and there won’t be a guarantee that it will deliver your vessel safely. Furthermore, if something happens, you’ll have no way to tackle the problem. Therefore, you should only work with licensed companies for the sake of your vessel. When you require shipping services, ensure you hire a trustworthy company that will deliver your vessel safely. Numerous transport companies exist, so it’s imperative you conduct some research to locate the suitable transporter. Boat Cradles: Build your Own or Let the Yacht Transport Company do it? Transporting your boat or yacht includes a number of things that need careful attention to detail. You need to figure out how and when you want your boat transported, the price- including insurance, getting your boat ready for transport, and more. You want your boat to arrive at its destination without any issues and in tip-top shape. One of the things that are important for the safe transport of your yacht is to have a boat cradle that will fit and support your boat and prevent it from getting damaged during transport. A boat cradle is something that you can build on your own if you are handy, or let your yacht transport company provide it for you. Boat cradles can be of many different shapes and sizes and can be made using different materials. Since the shape and weights of boats are different, a good boat cradle should be customized for each boat and have a perfect fit. If not, it can damage the boat. Wood, steel, and aluminum are all good materials to make boat cradles from. A simple wood boat cradle does not require too much more than some 2X4s, screws, and wheels, and can be relatively inexpensive. Welding is required for boat cradles made out of metal. You also get to save money, especially on shipping, if the boat cradle is a DIY project for you. The only issue that you need to be aware of is that if you do not make the cradle to fit properly, or do not use proper materials that will support the boat, then you could end up with a damaged boat. So prior to starting work, it may be useful to think through all the steps and to build a sturdy cradle that will be strong enough to hold your boat for transport. It is advisable to undertake boat cradle building only if you are confident and possibly have some experience in building stuff. Boat transport companies can assist you in getting a boat cradle. For transport purposes, your boat will sit in a cradle for days. So having a well-built and secure cradle is what companies strive to provide you. These are built specifically for your boat according to its dimensions. Some companies build steel and wood cradles, while others use aluminum. Companies can ship your cradle to you. Now, this may be a more expensive option, but you can have peace of mind knowing that a professionally built cradle will protect your boat as it is likely tested for maximizing safety. Reputable companies use quality materials, professional welding techniques, and double and triple check their products for maximum durability. The cradles are also inspected for a snug fit, tightened bolts, and adjustable pads in the right place. A perfect-fit design supports your boat precisely. Correct angles and pressure points are crucial for support, and to distribute weight to protect your boat. There are many companies that provide a range of services including not only cradle building, but also winterizing, detailing, bottom painting, shrink wrapping, and more. No matter which company you go with, ensuring that they are reputable, have experienced staff, and have great reviews from satisfied customers, will make for a flawless yacht transport experience. At United Yacht Transport, we are the leaders in the yacht transportation business, and with our experienced and professional team, strive to provide you with the most stress- free boat shipping experience. We use our own lifting gear and cradling equipment that is expertly handled by experienced professionals on our team, so we can guarantee a safe transport. If you have any questions about transporting your boat, cradles, or other equipment or processes we use, just call us at 954.383.4448 to get answers to all your questions and a free quote for our services if you need one. With reliable year-round sailings, excellent service, and guaranteed lowest prices, you cannot go wrong with United Yacht Transport. Any boat, no matter how big or small, is given the same detailed attention by us for a smooth transport. There are so many reasons to visit the Caribbean when you’re on vacation. The laid-back lifestyle, gorgeous beaches, and amazing food and drink are just some of the reasons why you should visit. If you’re planning on coming, the best way to do so is on your very own yacht. Here’s why touring the Caribbean on your yacht is the best way to vacation this year. One of the biggest reasons why yacht owners vacation on their boats is because they can go wherever they want, in their own time. Some vacationers choose to use tour guides, but that means that they have to follow the crowd when they’re visiting the Caribbean. There’s no time to relax, slow down, and really take in what they’re seeing. As you’re on your yacht, you’re able to tour the area with ease. Take it easy, see everything at your own pace, and really start to relax. The best things you see on vacation are the attractions you weren’t planning on visiting. The tucked away bar, the stretch of beach with nobody on it, the unadvertised restaurant with food to die for. It’s amazing what you’ll come across when you’re not looking for it. As you’re vacationing on your yacht, you can move about when you’re good and ready and stay somewhere if it turns out to be an unexpected gem. ‘This may all be very well and good’ you’re thinking, ‘but how do I get my boat there in the first place?’ Boat shipping is now easier than ever before. All you’ve got to do is go online, select your home and destination ports, and book your boat in. On the day, take your boat to the port and it’ll be shipped to your destination. It’s as simple as that. Here at United Yacht, we’ve got more shipping destinations available than ever before, including several in the Caribbean. You’ll be able to go anywhere you want with our yacht transport service. Book it in now and you’ll be ready for the summer! One of the greatest draws of the Caribbean is the beaches. It boasts some of the most beautiful stretches of beach for miles around, with pure white sandy shores and the clearest water you’ve ever seen. There’s no denying that you’re going to want to spend time on them. With a boat, you’re in the perfect position to do so. You’ll be able to sunbathe on the deck or dive into the water from the boat, enjoying the sun and the water just the way you want to. There really is no better way to vacation. It can feel as though there’s just too much to see on a regular Caribbean vacation. You’ll be trying to keep up, moving from place to place, and certainly missing something along the way. A yacht vacation is different, as you can get around every destination with ease. You’ll never miss a thing because you’re in control of the journey and where you’re going. There’s no better feeling than being in total control of your trip. On a yacht vacation, much of the stress and worry is taken away from you. You’re not worrying about where you’re staying or where you need to go next. All you have to do is kick back and spend your hard earned vacation. The biggest benefit of a yacht vacation is the opportunity to spend that time bonding with the people you’ve come with. Whether you’ve come on a family trip, or you’re spending time with a loved one, you’ll find that you’ll be able to really come together and enjoy your vacation with each other. No matter what kind of boat you’re taking on vacation with you, a yacht trip through the Caribbean is the best way to see the area. Book your trip now with us, and you’ll have your boat transport all set up and ready. All you need to do then is start planning how you’ll enjoy your trip! Summer is almost upon us, and that means lots of relaxation in the sun. If you’re already dreading the return of winter this year, then look no further. Here are the three top snowbird yachting destinations you’ll want to check out this winter. If you’re the kind of person that likes to keep busy even when they’re on vacation, then the Algarve is for you. This Portuguese town is a favorite with Europeans thanks to its mild climate all year round, giving them an escape from the cold in the rest of Europe. The town is a hotspot for golfing, fishing, and hiking, meaning there’s plenty to do if you like to be on the move. If history is more your thing, then check out the ancient Roman and Moorish ruins in the area. There’s plenty of quaint villages too, so you can spend many an afternoon exploring everything the Algarve has to offer. There’s plenty on offer for the foodies reading too, thanks to the array of local wines on offer, and delicious local cuisine. The best part is that the pricing is fantastic, with a full dinner for two, including wine, setting you back only $50. If you love food, golfing, history and more, then it’s time to book that boat transport to Portugal. Adventure seeking snowbirds love the paradise of Costa Rica for so many reasons. It’s famous for both the beautiful tropical setting and the adventure sports you can take part in while you’re there. Whether you’re into sunbathing or zip lining, this is the place for you. If you’re looking for a change in culture, Costa Rica can do this for you. There’s nowhere quite like the rainforest, so you can go on tours exploring the nature of the area. There’s a whole host of shops, restaurants and other attractions just a short walk from the shoreline, so you can take in new food and sights every day. For those looking for something more from their vacation, there’s plenty of adventure activities you can go on. For example, you can try zip lining as mentioned earlier. What could be better than zooming through an actual rainforest? Panama City is an up and coming snowbird destination that you’ve got to check out. It hasn’t got the wealth of accommodation or attractions yet, but it’s proving to be popular all the same. One of the best things about Panama City is that the currency is the US dollar, making it incredibly simple to get over there and get around. For those who hate having to change cash before they go on vacation, this is the location for you. The locals are known for being friendly, and there are lots of hidden treasures to be found if you go looking. Spend the day people watching in a cafe, or explore the city on foot. You’ll come back with stories that no one else has! No matter which destination you pick, you’ll need a way of getting there. If you want to take your yacht, there’s always the option of yacht shipping. This simple process gets your yacht to your destination for you, especially if you go with us here at United Yacht. All you have to do is book your yacht online for shipping. Just pick your home and destination ports, and you’ll be all set. On the day, take your boat to the port specified and we’ll handle getting your boat on the shipping vessel. Then, you just need to get yourself to your destination, and then pick the boat up when you get there! You’re all set for a relaxing, warm winter in your chosen city. If you’re dreading winter this year, why not book yourself a winter escape to one of these perfect snowbird destinations? You can take in the sun while everyone back home is living with the cold! There’s nothing better than relaxing on a beach, knowing that you’re avoiding the bad weather back in your hometown. If you’re convinced, book yourself a trip today, and use us to ship your yacht to you. It’s the best vacation you’ll ever take. When selecting a boat shipping company, how can you be certain that you’ve made the right decision? After all, you’ll entrust the company with shipping your boat overseas and watching over it throughout the voyage. In some instances, the same company will be responsible for transporting the boat to the departure port and to the final destination. Beware that the company you select is extremely important. Some shippers mistakenly choose the company based on affordability. This is very dangerous because it implies overlooking other vital qualities a shipping company must possess, particularly if it’s an international company. Fortunately, you don’t need to worry about your shipping needs with United Yacht. You’ll discover our yacht transport is not only reliable but also efficient. Here’s a list of reasons why you should use our yacht shipping company for your boat. Our established transport experts have extensive knowledge and expertise to ensure we carry out every element of the transport operation to the highest standards, to ensure your vessel arrives safely. 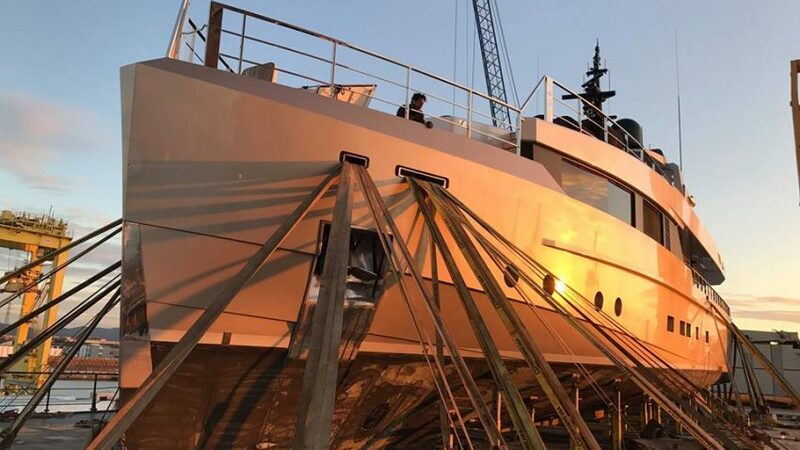 Unfortunately, not everybody in the business is a trustworthy professional, with some adopting a haphazard DIY approach that undermines the work it takes to lift, haul, and ship a yacht. At times, things can go terribly wrong, particularly if the yacht isn’t latched down properly and is in an ill-fitting cradle. The best companies such as United Yacht use custom-made or adjustable cradles, using professional knowledge to distribute pressure and weight evenly. In the contemporary world, all reputable companies must have a well-optimized web presentation. The best company will display the pertinent information they have concerning different international regulations with the goal of helping clients with things that don’t just involve their services. When selecting a boat shipping company, have a close look at its website. You’ll discover that our boat shipping company’s call to action is straightforward and so is the process for obtaining a quote. The company should be open about its shipping rates and its website must have a resource section for extra information. Moreover, the website should be easy to access on every device. These elements are all important because they reveal a company’s willingness to reach out their prospective customers. It’s imperative that the transport company recognize when the yacht should arrive at the final destination. Obviously, the earlier you arrange transportation, the more likely we’ll meet your scheduling requirements. At United Yacht, we’re seasoned professionals working to meet tight deadlines. As a result, we ship yachts within the stipulated timeframe. This is vital because it determines boat shipping costs. You’ll require the precise width, length, and height of your boat. You’ll also have to include the swim platforms, motors, bow platforms, or any protruding parts that might extend the external dimensions. When it comes to height, consider the boat’s highest part that can’t be disassembled. For the width, take the widest part of the cradle or boat. You require the boat measurements since you might require unique permits from the Department of Transportation (DOT) and the transporter needs to identify the kind of handling to use. The legal height for boat transportation on the road is 13ft 6″-this implies that the vessel must be at the most 12ft high. For bigger boats, more clearance is necessary. Boats that are more than 8ft 6″ are deemed oversize load and need special permits. Remove all lights, propellers, antennas, anchor, electronics, valuable items and store them safely below. Secure all covers, cabinets, and remove all fuel. It’s also important you disconnect batteries, tape and latch cabin windows. Remove any cargo from the boat and empty the water out from the boat, including the air conditioner and drain plugs. Other important preparations include cleaning the boat’s exterior, wrapping the vessel in canvas or plastic wrap to protect it against bumps. If the boat is wooden, you can protect it by applying linseed oil to prevent drying. Contact the area where the shipment is taking place and determine the necessary documentation and customs regulations. The documents necessary include lading bill, shipping documents from the shipping company, and a copy of the boat’s title. Some nations might even need the boat’s import permits. The logistics involved in shipping a boat to any destination worldwide can take considerable planning and preparation. Therefore, it’s important you find a reliable company such as United Yacht, which will meet your shipping needs. The vacation season is almost here and for many people, it’s that time of the year when they start planning for the cruise season. Yacht transport is great for people who like to venture out on their own and not wait for the cruise season to hit. When you’re getting ready for the cruise season on your own time it’s good to know when the optimal season is to start considering taking your vacation. We take pride in our yacht shipping because we know how important these boats are to people and how much pride they take in using them. There’s nothing quite like taking your own personal cruise and being able to explore new places on your own time versus being stuck on a large cruise ship. When you’re planning a voyage the beginning of January is a good season to start traveling since it’s referred to as the “wave season” when cruises have the best deals. One of the best ways to ensure you’re ready for your cruise is to plan ahead of time and to make sure everything is booked early. This includes where you’re going to stay and any trips or activities you plan on taking to ensure you get the best deals versus arriving at your location with no plan in mind. Yacht transportation is a great way to prevent wear and tear on your boat to make sure it doesn’t start to break down. For many people, it’s tempting to sail their boat to its destination on their own, but the costs can be greater than people first expect. One of the drawbacks is people have to deal with the extra cost of fuel which can easily cost over a quarter of a million dollars alone not to mention adding in the necessary supplies and pulling together a reliable crew. The costs can rise easily and be astronomical compared to going another route where your boat is delivered safely to its destination and no extra wear and tear occur. Traveling during the busy season can cause vacation costs to rise whether it’s staying at a hotel or taking part in activities for the entire family. Fuel costs can rise during peak season too since everyone is going to be traveling during these times and you end up paying a premium just to use your own boat. Traveling during the off season is the best way to not only save on fuel but on vacation costs too. You’ll have better access to hotels and activities since they won’t be overloaded with other vacationers taking time off of work or school to visit. Off season is usually when no major holidays are taking place or when schools have a week or more off. During the off season not as many people are traveling so it’s easier to get better deals on other travel expenses like flights and hotel rooms. This also means it won’t be as busy at more popular destinations so you’ll have some breathing room during your vacation. Yacht transportation is just overall better for your boat compared to sailing it across open water to reach its destination. Not everyone takes into account the wear and tear that can happen nor the fuel costs that can reach astronomical amounts. There’s also the risk of an emergency taking place onboard and help not being readily available depending on the location of the boat. Taking a personal cruise doesn’t have to mean extra stress or having to make compromises due to the season. Planning ahead and knowing when it’s a good time to travel will go a long way to saving you large travel costs and focus on your vacation. We are always more than happy to hear from our customers and answer any inquiries they have about our services. 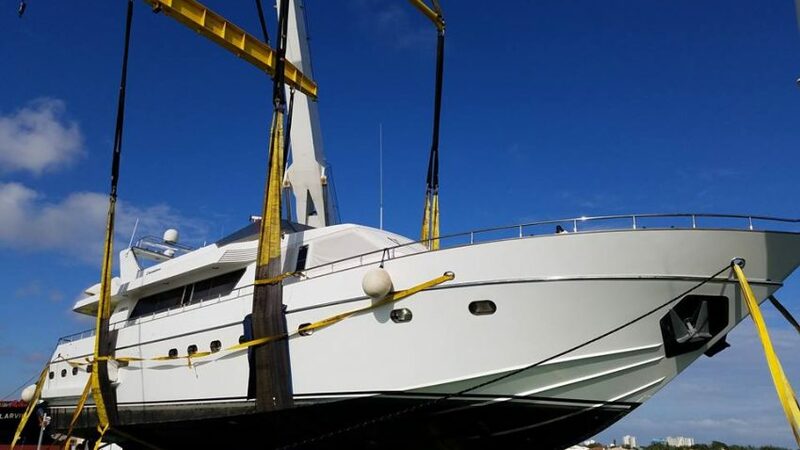 United Yacht has been in the shipping business for a long time and we have made our reputation in yacht transportation, but you might be curious as to how the different yacht companies handle loading and unloading. 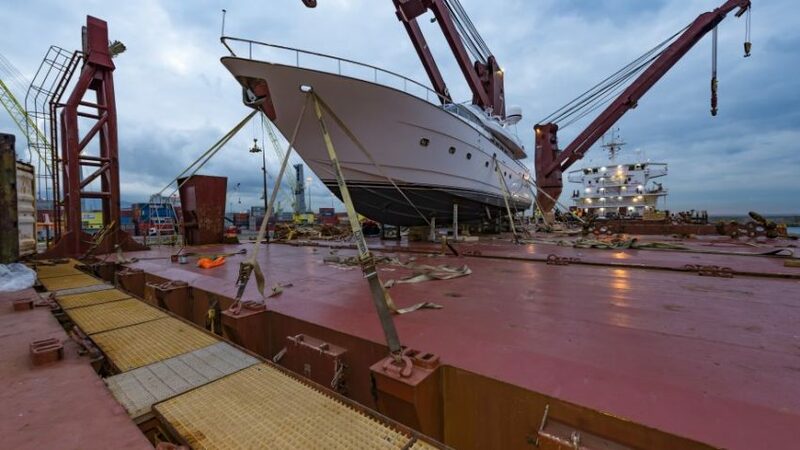 It is certainly a good question and it is one that looms over many customers when dealing with the subject of yacht transport. Today we are going to take a moment to look at two different types of loading as well as the need for a custom cradle for your yacht. If you are not dealing with container shipping, then one of the quickest ways for you to get a yacht onto a freighter is with a submersible deck. There is a common misconception when describing a submersible freighter and it is the belief that the entire boat is submerged. The truth, however, is that the deck itself is submerged to a point so that the yacht will be able to easily sail onto the ship and be placed directly into its custom cradle. Once every boat is loaded the submersible deck will lift from the water and the freighter will sail as normal. It is a complex concept, but in practice, it is very simple. There is no arguing that the lift method we use is a bit more difficult than the submersible method used by many of our competitors, but in the end, it gets the job done, and we execute it in style. If you don’t believe us, check our Facebook page and review some of the stop-motion videos that we’ve released, detailing our loadings and unloadings. With the lift method, a harness is placed around your boat in the water, and it is slowly lifted onto the deck of our freighter. 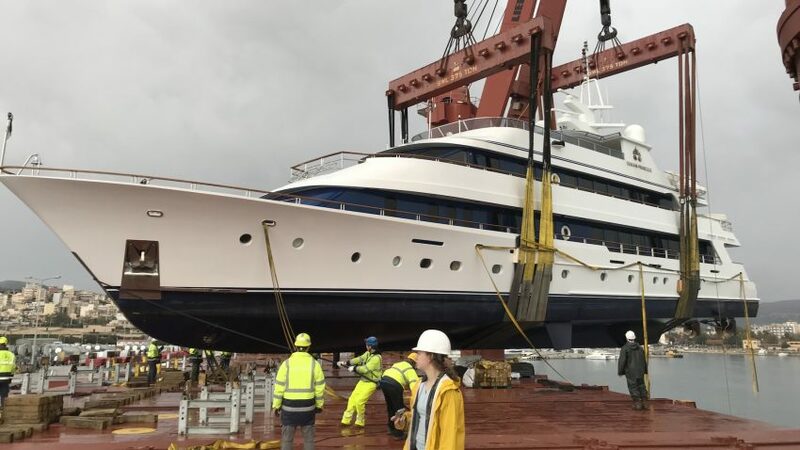 As soon as the yacht is lifted, it is guided down by an experienced deck crew and placed into the custom cradle. This is not a short process – in each video, we post you will see a day/night transition, which is not surprising as these loadings take up to twenty-four hours to complete. The logistics at each end of the journey are highly impressive, and one look will tell you that you can easily trust us with your yacht shipping needs. The logistics of boat transport are not something that you will want to take lightly. Both ends of the trip need to be adequately prepared and if they are not, you will run into some serious technical problems. It starts with making sure you have the right company, and of course making sure that you provide them with all of the right information. You can visit our website first and foremost to fill out our questionnaire and let us take care of the heavy lifting. On our website, we list several destinations that you can choose from, all the way from the Mediterranean, to Europe, Canada, and many more. 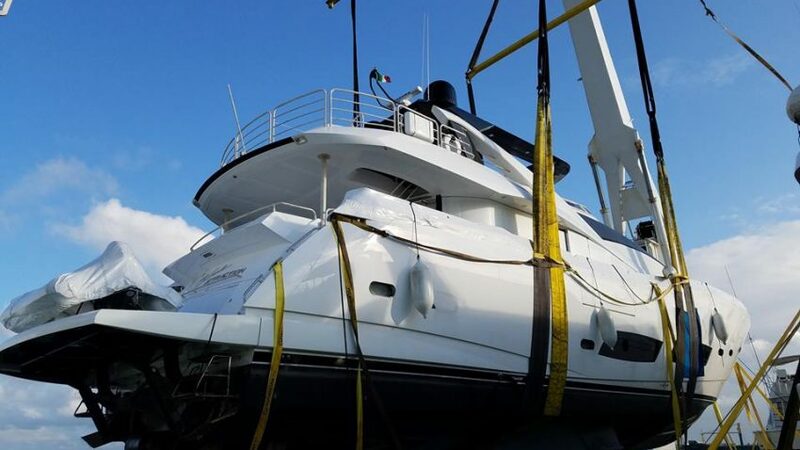 We serve as the premier yacht transport company in South Florida, giving owners, sellers, and brokers the opportunity to move their yachts at lower prices with safe loading methods that have been established over the past twenty years. If you’re thinking of moving your yacht over a long distance and your preferred destination is on our list, we strongly recommend giving us a call to work out the logistics early on. Remember: the sooner you call and the sooner you are able to work out your boat shipping needs, the quicker this will be done, and the more money you will save. Calling early gives us a chance to work out the logistics and ensure that there is room on the vessel for every single boat heading to your destination. Your yacht is important to you – leave it in the hands of a company that knows what they are doing. The yacht industry grows more complex every single year and it can be difficult to keep up with it at times. One thing that always remains constant is that yacht owners, builders, and sellers will need yacht transport services at some point in time. 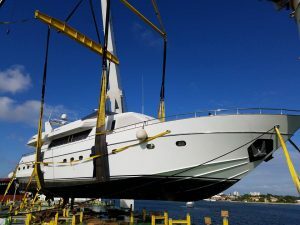 This applies whether they are taking their vessel to a boat show in Fort Lauderdale, transporting it for sale to a client, or going on vacation with their beloved boat. If you need to transport a yacht for any reason whatsoever, then you are going to need not only a good carrier but a direct line to that carrier. This is where the difference between yacht transport carriers and yacht transport brokers comes into play. There are many reasons that you might find yourself drawn to a yacht transport broker, but the most typical of these is the price. We’re not going to mince words here: yacht transport is expensive. 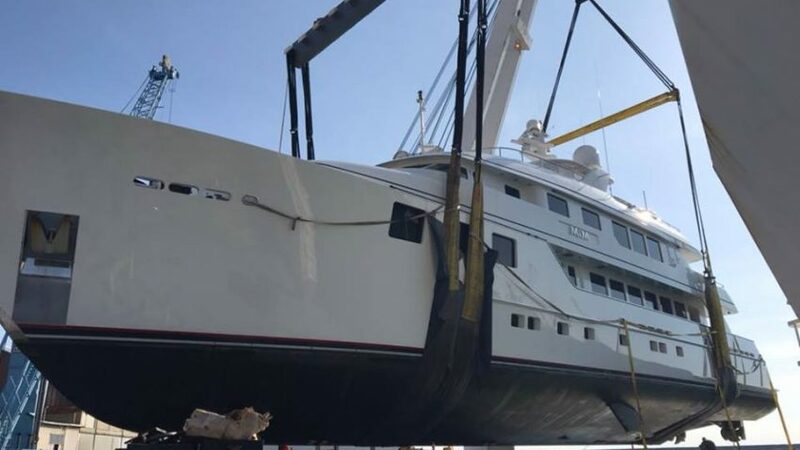 With a company like United Yacht, you might pay $30,000 – $40,000 to transport your boat which might sound like a lot, but it’s nothing compared to other shipping methods. As a solid example, say you want to transport your boat from Florida to the west coast and you are reviewing your options. You will quickly discover that having it towed via flatbed truck is even more expensive, and a lot more dangerous. So, what is it that brokers can offer you? The first thing you need to know is that brokers operate as the middleman, so to speak. They deal with the yacht carrier on your behalf and they are sometimes able to offer you deals that you might not get from the carrier. That is the problem, however. More often than not, you are going to find that the broker offers a price that the yacht carrier has no intention of honoring, and they may not tell you for some time. This will leave you high and dry and you may miss out on your travel window. All in all, brokers are not the best idea when it comes to scheduling yacht transport. You don’t have to work with a yacht broker to get your sailing underway. You can come right to us and make the arrangements, which is what we would prefer, actually. In fact, if you visit our website you will quickly find our list of available destinations, and you can feel free to inquire for more information using the form. Just as with a broker we will ask that you provide us with vital information regarding your boat. This includes the size of the yacht, the weight, engine capacity, etc. If we have this information, we will be better able to accommodate your yacht on one of our sailings, and if you schedule early enough, we may be able to help you save a significant amount of money. In an operation like this, every penny counts for the customer. We are a premium boat shipping service that has more than twenty years in the industry, and a passion for transport unmatched by most other companies in South Florida. We take great pride in not only getting your boat to the destination but making sure that it gets there unharmed. There are many other transport companies out there that tend to not take their job seriously and can potentially cause damage to the yachts that they are trying to transport. This is especially true for those companies that would rather directly sail the yacht rather than load into onto a carrier. United Yacht charters a special carrier for each shipment, ensuring that you not only have a spot on the boat but that the trip is tailored to you, the customer. Call us for more information and to get underway as quickly as possible. Cruising on the open ocean with the sun shining brightly, the salty sea breeze in your face, and the sparkling blue water- who wouldn’t want to be in a place like this? There are many beautiful destinations around the world where you can go to get away from it all, relax, rejuvenate, and come back feeling like a new person! One of the most culturally rich, beautiful, and diverse destinations for guaranteed sunshine is the Mediterranean. No matter how you want to spend your time, the Mediterranean offers a wide variety of experiences for you. From the ancient stone villages and sunny beaches of Portugal, the eastern flair of Turkey, the noisy nightlife on the Spanish Costas, to a quiet cove and quaint tavern in Greece- the Mediterranean offers this and much more. There are beautiful beaches and stunning landscapes, delicious cuisine, and new cultural experiences that will completely blow you away. And of course, the weather is hot and sunny and the people friendly. The Mediterranean can be the perfect paradise for anyone. Summer is the peak travel season in the Mediterranean lasting from June/July through August. The weather is hot, and the water is warm, allowing for many lazy days on the beach, or just for soaking up the cultural experiences all around you. But the beaches at this time are crowded and hotels and attractions are priced much higher. Ports become very congested and your surroundings may become very noisy with so many people all around. On the upside, you will not have to worry about rain, choppy waves, or lack of itineraries at this time. On the other hand, visiting during the spring (May-June) and fall months (September-October) has a lot of upsides too. The weather at this time is comfortably warm, the sun is bright, and the crowds much fewer. Springtime also sees flowers in full bloom, making the landscape even more amazingly beautiful than it already is. The fall days are also mild and clear before the winter rains begin. The months of March-April and October-November see the deepest discounts with “specials,” “two-for-one’” and “free airfare” as some of the available sales to take advantage of. If you are on a tight budget, visiting at these times of the year can mean big savings for you. When you head out to the Mediterranean also depends on which place(s) you plan to visit. Summer, for example, is the best time for visiting the beaches of Spain, but too hot to visit places like Morocco, Egypt, and the Canary Islands. Sardinia, Corsica, and Malta are lovely in April, with warm days and pleasant nights. The ideal time to visit Morocco, Slovenia, Croatia, Greece, Italy, and the rest of the brilliant blue Adriatic Sea is late March through April. The bottom line is that you can visit the Mediterranean at any time of the year depending on your preferences. No matter when you go, you are sure to be greeted by magnificent beaches, great weather, and tons of activities to enjoy! Once you decide to head out to the Mediterranean, there is no better way to spend time in this wonderful paradise than to cruise around in your own private yacht. And with United Yacht Transport, yacht transportation is a piece of cake! As the world’s largest yacht transport carrier, we pride ourselves on shipping boats safely, quickly, and cost-effectively to many destinations all around the globe. We have gained our customers’ trust and have a reputation for being reliable in completing each boat transport in a way that is least bothersome for you. We take care of all aspects of yacht shipping such as customs clearance, measurements, loading/unloading charges, insurance, and more. Our experienced and professional team works hard to make sure that transporting your boat is a hassle-free and stress-free experience for you. So if you want to enjoy the Mediterranean or any other destination, just call us at 954-383-4448 and find out how we can help you start enjoying your vacation today, without worrying about yacht transportation. We are also happy to provide free quotes for you. Head out to the Mediterranean at any time of the year to enjoy the best weather, cuisine, and culture. United Yacht Transport makes transporting your boat quick and easy for a stress-free experience. Sailing on your own personal yacht is simply one of the best ways to spend your long awaited vacation time. United Yacht Transport is your premier yacht shipping company that can make these trips even more enjoyable for you and your family. They ship to almost any location worldwide and guarantee a safe, secure, shipping method for your vessel whether you chose to stay aboard or meet your yacht at its final destination. When you decide to use United Yacht for your boat transport needs, you will find that their scheduling options are very flexible and you are sure to find a voyage that fits your traveling preferences due to their large scale shipping abilities. When planning your next yachting destination for 2018, let them take you to one of the most desired locations so that you can experience the same thrills other yacht owners have been enjoying. This esteemed boat shipping company ships to the three most desired destinations for 2018, Greece, St. Martin, and Turkey. Greece is made up of over 3,000 beautiful islands and has quickly gained popularity and a reputation as a top destination for yacht travel. Due to its stunning landscape comprised of natural elements, ancient archeology, and the rich culture it embodies, it attracts yacht owners from all around the world to its pristine location. Some of the most popular islands in Greece are the Mykonos Island, Crete Island, and Santorini Island. While exploring these beautiful islands in this prestigious Mediterranean location you will experience some of the greatest food you have ever tasted. Additionally, travelers love the feel of ancient Greece simulating traveling back thousands of years of history in their numerous archeological sites. For the exciting nightlife in Greece, Mykonos Island offers an experience like no other throughout its packed main beaches. With its overflowing beauty, St. Martin has quickly risen to one of the most desired yachting destinations for yacht goers. St. Martin is known for giving its travelers a true taste of the French and the Neverland cultures in one gorgeous location. Some of the most popular islands to discover when visiting St. Martin is Anguilla, Saba, and Barths. The stunning silky white sand beaches are often barren and feature top retailers and exceptional waterfront restaurants. The island of Saba on St. Martin is a popular destination for divers and snorkelers alike. These world famous beaches are aligned with enchanting tropical scenery and exciting nightlife that makes St. Martin a top choice for the Caribbean get away. Other than Greece and St. Martin, Turkey is a top traveled and desired yachting destination. 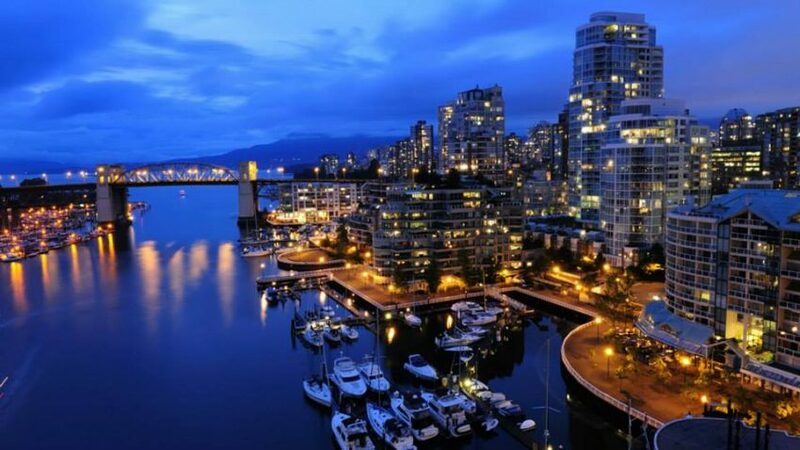 With over 8,300 kilometers of coastline spread across four different seas and including an abundance of coves, inlets, marinas, bays, and beaches, this desired destination is very popular among yacht goers. The secluded anchorages provide travelers with the desired privacy they are looking for. Turkey serves as the meeting point between the far East and the Mediterranean blending their culture and cuisine. Turkey is broken up into a stretch of land that offers four different yacht charter areas. Whether you are looking for rock tombs or mountainous shores, this popular yachting destination is sure to become a favorite for your travel preferences. For the most trusted yacht transport company in the boating industry, United Yacht is here to serve you and meet and beat your expectations for boat shipping. Though we are top in our industry, our boat shipping costs are offered to you at the most comparable rates in the industry due to our large-scale capacity. We offer some of the most flexible scheduling options in our industry shipping your yacht to destinations worldwide. We also offer custom voyages and special event transport. 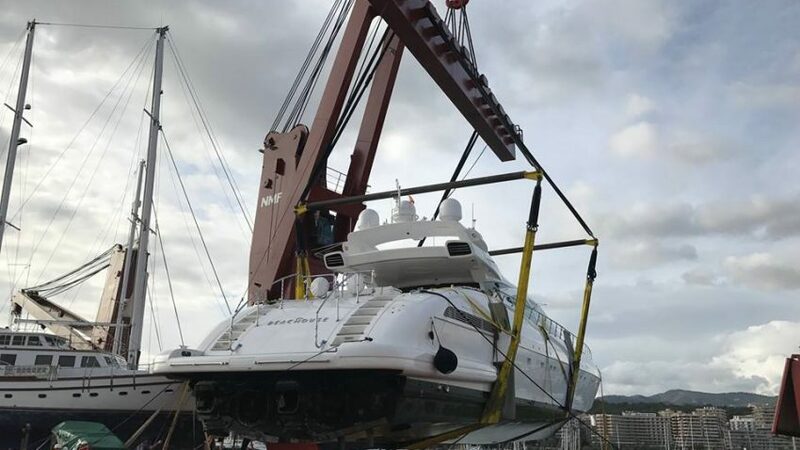 When you trust United Yacht Transport with your valuable investment, you can be sure that your yacht is in safe hands with a qualified company that is equipped to get your yacht safely to its final destination. For more details check out our website today. We look forward to speaking with you to answer your questions and help you with the schedule of your next exciting yachting excursion. 2018 is just around the corner and as we leave 2017 behind you might be making epic vacation plans that involve traveling abroad, and they might even involve your yacht. We have to admit, there’s nothing quite as exciting as taking a vacation and sailing around on your own terms. Chartering a yacht or boarding a tour boat might be fun, but let’s be honest, you want to be the captain and you want to have control over your own destiny. Who wouldn’t? You can just imagine yourself sailing over blue waters toward an unknown port, ready to weigh anchor and have the adventure of a lifetime. You might even bring some of your own toys along, like a jet ski or even a smaller boat. The world awaits, but you’re going to need a good yacht transport company to get you there. If you want to take the vacation that we described above then we’re going, to be honest: a good yacht transport company is going to be absolutely vital. So what does that mean to you exactly? First of all, it means doing a bit of searching rather than choosing the first company that comes to light. As you search for a way of shipping boats that doesn’t break the bank you’ll want to find a company that can scale to your needs, one that can get the job done on time, and one that has an excellent record. With United Yacht transport, you’re going to have all of that and more. If you take a look at United Yacht’s history in 2016 and beyond you’re going to find that we have a solid record whether it’s lifting small boats or the massive 150-foot behemoths that require a considerable amount of logistics work to make possible. It is important to note that this is made possible through United Yacht’s policy on scaling the service to the client needs rather than having a preset set of parameters. As the client you will take your boat’s measurements, hand them to us, and we will charter a freighter based on your needs and the needs of everyone else along for the ride. Before you commence with your yacht shipping you need to know where you’re going, and that is definitely something that United Yacht can help you out with. A clear list of destinations is available right on their website which includes Costa Rica, Port Everglades, Hong Kong, Genoa, and much more. You can choose one of these amazing destinations and find out when the next sailing is – you’re in good hands with United Yacht, and if you find that the destination you desire is not actually on the list, you can always ask us if we’re able to schedule it for you. If a destination happens to be hot enough in 2018 there is a good chance that there are more people than you who have an interest in it. 2018 promises to be an amazing year whether you’re a land lover or want to spend your time on the high seas. Our destinations often involve great oceanside experiences which include snorkeling, cave exploring, and perhaps even scuba diving. These are just a few of the opportunities and you can clearly see that 2018 is going to be an amazing year. You might not be in time for a New Year’s sailing but 2018 holds a lot of promise and will most certainly ensure that you have experiences that you will never forget. For more information and to get underway, make sure that you give us a call and see what we have to offer this coming year. In the meantime, feel free to have a look at our YouTube Page to witness some of our epic loadings and unloadings that have defined the industry this year. As 2017 comes to a close, it’s time to start looking forward to what 2018 brings us. The Miami Boat Show is sooner than you’d think, so now’s the time to look at what you can expect to see and do once you’re there. Here’s everything you’ll need to know before you make your way here to see the show. This year, the Miami Boat Show is being held on the 15th – 19th February 2018. The show’s venue this year is the Miami Marine Stadium, the perfect spot to check out the newest innovations in boating, and even try out new models yourself. As you’ll see on the official website, there are lots of options if you’re looking for ways to get to the show. If you’re driving, there are several different car parks serving the stadium, many of which have valet parking. This can make getting there so much easier, and help you get into the stadium quicker. As well as this, there are other options such as water taxi and shuttle bus. The times for these services are listed on the website, so check them out before you travel. The Miami Boat Show is dedicated to showing you just what’s new in the world of boating. This year promises to be more exciting than ever before, with a wide range of exhibits to check out. There’s a huge range of exhibitors too, so no matter what you’re looking for, you’ll find it. Of course, there will be new boats on the show to see and even try out for yourself. As well as this, there will be exhibits for tools, yacht transport, inflatables, and more. There’s bound to be something you’ll see this year that you’ve never even thought of before. Being located on the Marina, the location offers you the unique opportunity to try out some boats for yourself. The best place to find these boats is at Pier 9, where the latest in boating and boating equipment will be on display. You can get up close and personal with them, helping you see what’s right for you. As well as this, there will be plenty of talks happening on the subject of boating and sailing. For example, there will be seminars on choosing the right boat, handling medical emergencies, and the realities of life aboard boats. If you want to know about it, it’ll be available to you at the show. Take a look at the website to see the full line up of seminars available. If you’re coming in from outside Miami, then you need to know that you can get discounts on your accommodation while you’re here. The Boat Show has partnered up with onPeak to get discounts on many nearby hotels. Take a look at the site to book your hotel now and take advantage of this offer. While you’re here, you should take advantage of the food and drink that Miami has to offer too. You’ll be amazed at what the Miami Boat Show can offer you while you’re at the show. There are food courts offering all American food, steak houses, and Latin cuisine. As well as this, there will be a large variety of food trucks, offering everything from Mediterranean cuisine to BBQ food. You really are spoiled for choice. If you’re interested in learning more about boat transport, then come see us at the Miami Boat Show. We’ll be exhibiting there, so whether you’re interested in costs or want to know where to ship to, we’ll be happy to chat with you. We can even help you book a trip if that’s something you’re interested in! We’d love to see you, so don’t hesitate to come and say hi. As you can see, there’s so much to see and do at the boat show. Now’s the time to book your tickets and hotel, and get ready for the show. Of course, it’s a good excuse to spend some time in Miami and escape the cold weather in the rest of the US! With 2017 wrapping up nicely, it’s never too early to start thinking about boat shows for next season. Boat shows are a great way to let loose, reconnect with old friends, and enjoy all the best parts of boating. If you were unable to make it to any of the boats shows last season because of logistics like shipping, you’re going to be really excited when you find out how easy boat shipping is. Before we get into how it all works, let’s take a look at a quick list of the 2018 boat shows coming up. Located in Arizona, the Lake Havasu Boat Show is the largest boat show in Arizona and Nevada. With over 130 exhibitors, you will find there’s just about every make, model, and type of boat displayed here. With 27 years of success in the recreational boating industry, this show is fun for friends and family. People from near and far travel to this International boat show to see new boats, appreciate classic, and socialize with other boating enthusiasts. Because this boating show is so large, this is truly a production and one of a kind. There will be boats for sale but not all boats will be shown for public viewing. Enjoy Maryland’s longest running boat show in 2018. Located at the Baltimore Convention Center, this show is massive. There will be boats for sale that are new and used. Some vendors may use boat listings in their spaces because they do not want to bring their boats. Maybe they’ve never heard of boat shipping. You can find out more information on vendors, parking, and travel arrangements on their website. Whether you build, design, service, or sell boats you’ll want to come to this show. This is America’s leading technical boating-building showcase. Here you can do industry business, share ideas, network with vendors and peers, as well as be apart of the acceleration of new product development. This is one show you don’t want to miss. So how does boat shipping really work? Don’t worry, we will help you every step of the way from filling out the free online form to the arrival of the boat. The shipping process starts with a free estimate of the delivery cost. It’s super easy and doesn’t take a ton of time. Simply fill out a free online form. This form details the size and measurements of your boat. We gather information like the model, length, and, vessel beam. These help us to determine an appropriate estimate for shipping and delivery. We also include the location of the port pick up and drop off in the estimate so there are no surprise additional fees. Our team of experts will be working at every point of the shipping process. From paperwork to delivery, you can trust that your ship is in good hands. Whether you’re shipping it for retail purposes or personal, we can ship it. Sometimes shipping a boat can occur by land. In this case, we will calculate the mileage. This cost can vary but typically costs around 1.50 per mile. This is a reasonable price to ship such a large vessel. Insurance, dock arrival time and departure, as well as vessel maintenance, is included in the shipping service. Your boat will arrive show ready. In fact, it almost might look better on delivery than it did when you first dropped it off with us. That’s because we take just as much pride in your boat as you would. Boat shows are just a part of an up and coming exciting boat season. This new year, don’t worry about having to miss out on all the fun because you can’t get your boat there. With our boat shipping services now you can be a part of all the excitement and fun. If you’ve never used a service like ours before you might be initially reserved. However, you can trust that we are going to take extra special care of you and your boat when it’s with us. Are you looking for a place to get your yacht, boat, or cargo shipped between multiple destinations? Are you looking to transport your yacht across foreign waters for the holidays? We have many different ways to ship your boats and goods overseas. We have experience shipping to nearly every popular port, we’re your one-stop shop for everything pertaining to the transportation of sailors yachts, boats and cargo. We handle a variety of things from logistics to customs clearance and more. United Yacht Transport, is the industry leader in North American of yacht transport and boat shipping solutions. 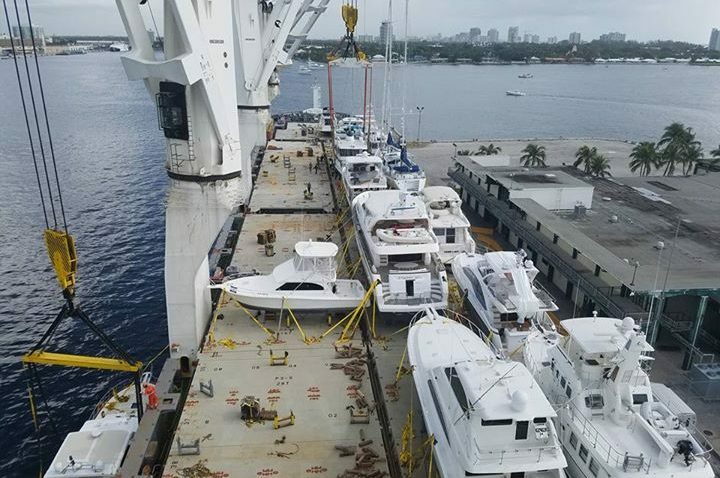 United Yacht Transport is headquartered in Fort Lauderdale, Florida and specializes exclusively in the transportation of yachts to any worldwide destination. Through our highly skilled and experienced management team, both onshore and aboard our ships, we are dedicated to providing our clients with safe, efficient and reliable marine transportation solutions. We strive to exceed expectations with customized yacht transport logistics and solutions. United Yacht Transport has assembled a team of the most experienced personnel from within the yacht shipping industry. We have an experienced team of professionals that sets us apart from our competitors. We can guarantee our client’s peace of mind knowing that their yacht will be transported with extreme care and handled by the industry’s most qualified people. Our experienced management team has developed tried and true systems designed to provide the best overall experience for our clients throughout the entire shipping process. We have gone from being new to the industry to the world’s largest top industry provider in under five years. We have achieved a high-level of rapid success by providing reliable, regular service on confirmed vessels, combined with excellent above bar customer service. Paul Haber is the president of United Yacht Transport who is a carrier with its own cradling equipment and lifting gear. 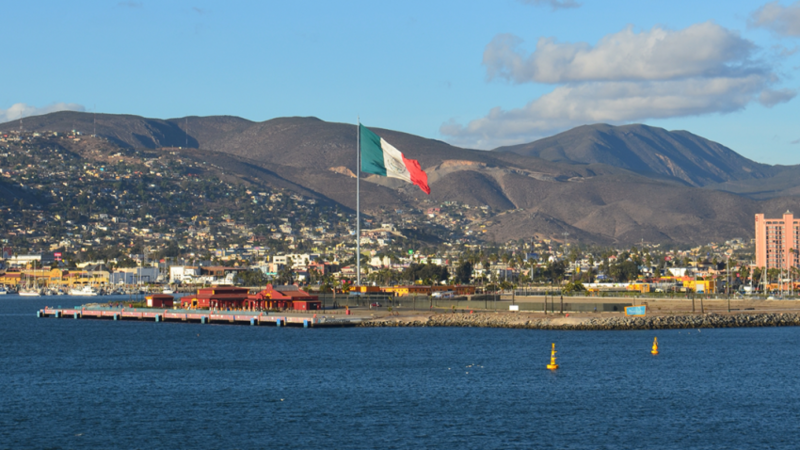 We have multiple sailing destinations that span the globe; including the Caribbean, Mexico, Mediterranean, East and West Coasts of North America, and most any major yachting destinations. We are known as yachting capital in Fort Lauderdale, Florida and offer seasoned customer service, knowledge and flexibility are what sets us uniquely apart from our competitors. Whether it is world-class scuba diving or cruising the beautiful waters of southeast France we have your yacht transportation needs covered. With United Yacht Transport, you can enjoy all this from the safety and comfort of your own yacht. We have routes that touch Fort Lauderdale, Panama, Costa Rica, Mexico, British Columbia, Singapore, Hong Kong, Spain, Italy, France, and Greece, however, there are more, based on demand. We have the highest safety rating in the industry. Our loadmasters are the top in the world. We also provide the best insurance policy in the business. We are a full-service boat transport company offering a broad range of transportation services. From our regularly scheduled voyages to our in-house liner transport department, we are confident that we will meet or exceed your transportation needs. We are one of the only yacht carriers servicing all segments of the yacht transport industry. We pride ourselves in serving the international yachting community with customized, cost-effective yacht transportation solutions. We are more than just yacht transit; we are a full-service concierge, ready to meet your needs at any time and in any ocean. Our liner services are offered to our clients who require service to destinations outside of our regularly scheduled ports of service. As a large-scale yacht carrier, United Yacht Transport has longstanding relationships with most liner service operators. Our large scale also gives us the purchasing power to achieve the lowest overall boat transport cost and boat shipping costs which translate to lower rates to our clients. United Yacht Transport is the leading yacht transporter in their industry and the largest yacht transport company in the world. This esteemed company is headquartered in Fort Lauderdale Florida and features services to exclusive worldwide destinations. As United Yacht Transport grows and becomes a staple to their industry, they have experienced a record year in 2017 with their various yacht voyages. One distinct voyage that has helped carve their name in 2017 is the voyage transporting a mega yacht to the Mediterranean in July 2017. Another large vessel took the sail with United Yacht in May of 2017, this was the Newcastle Marine Explore Yacht traveling from Fort Lauderdale to Genova Italy. Additionally, United Yacht Transport is famous for their prestigious annual winter trips which help to prepare yacht owners for the holidays. As the season demand has risen for yacht shipping to the Mediterranean and North America, United Yacht has risen to the occasion to meet these demands for their valued clients by expanding their schedule and adding more sailing options. They set an industry record for large boat transport in July of 2017 when they astoundingly transported a mega yacht weighing over 650 mts to the Mediterranean. 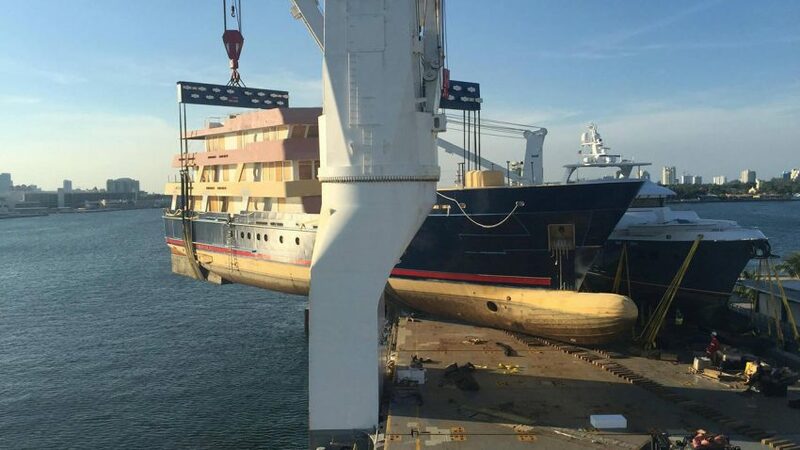 This yacht was the heaviest yacht that any yacht carrier had successfully transported in many years. 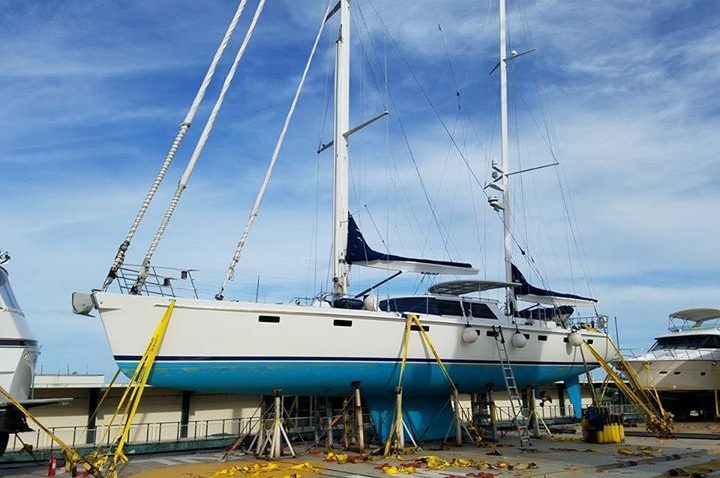 United Yacht successfully completed this voyage flawlessly and was able to boost their reputation and trust in their clients as they prepare to continue to meet these high demands. Another monumental yacht shipping expedition by United Yacht is 2017 was the long-awaited trip of the Newcastle Marine Explorer from United Yacht headquarters in Fort Lauderdale Florida to Genoa Italy. The developers of this project first released the details to the industry all the way back in 2011, but were unable to make this dream a possibility. After years of careful planning and deliberation, they were able to make their project a success in 2017 when they found the esteemed boat shipping company United Yacht Transport. This ship known as the Ulucitcan has a reputation as the “heaviest yacht that any deck carrier has loaded in years” weighing in at 650 tons. This large yacht is a massive four deck explorer. 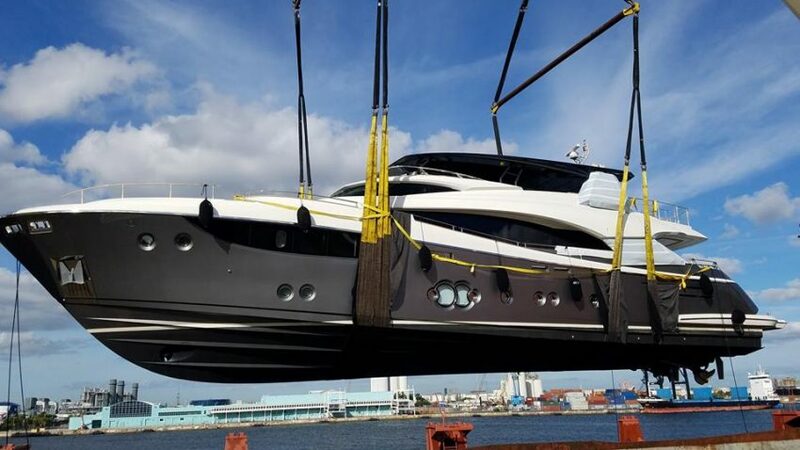 It would definitely take more than just your average boat shipping company to complete this large task and when these clients turned to United Yacht Transport to do the job, they definitely picked the best in the industry for their transport needs. Another important staple of United Yacht Transportation’s esteemed reputation is the annual winter trips that their clients depend on every year. Many yacht owners prefer warmer climates, so a winter season on the open waters is not desirable for them. United Yacht Transport has their ultimate solution. 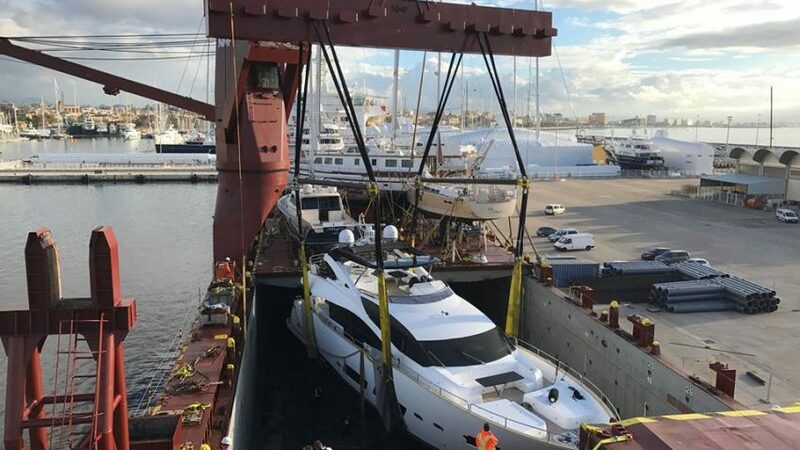 They will carefully help you plan out your destination to transport your yacht safely too so that when the chilling months are over you can return to your vessel and begin enjoying it again. They are highly recommended for these services because it saves yacht owners the hassle of shipping their yachts on their own and allows them to enjoy their holiday season. For all of your boat shipping needs, United Yacht is your number one choice. Their records they hit in 2017 can give clients the confidence they need as they trust them with their valued investment. For boat transport costs through United Yacht, call one of their friendly representatives today. Their website also offers details and schedules on all of their many sailing options available to their clients. If you want to ship your prized possession while feeling safe and secure in your decision, United Yacht should be your first call. Let us show you a peace of mind and the confidence that you are looking for in your yacht transport company. Fort Lauderdale is home to an estimated 178,752 residents who call this beautiful Floridian city their home. Interestingly, Fort Lauderdale was the first United States stockade and it was constructed in 1838 as it was the battleground for the Second Seminole War. After the battle, the fort was abandoned in 1842, however, after the war ended, the area remained practically unpopulated for the next 50 years. It was not until the 1890s that people really began moving in. Today, Fort Lauderdale is a bustling city, known to many as the “Venice of America”. There are many beautiful sights to see; from the Butterfly World and the Museum of Discovery and Science to the John U. Lloyd Beach State Park and the Bonnet House. Fort Lauderdale is full of fun and historical places to visit and explore. What does the United Yacht Transport Company have to do with Fort Lauderdale? Actually, the UYTC is based out of Fort Lauderdale, Florida, and they specialize in transporting yachts via carrier ships across the ocean to any worldwide destination. The yacht transport business has boat shipping destinations that include the East and West Coasts of North America, Mexico, the Caribbean, Asia, Costa Rica, Singapore, Greece, Hong Cong, Italy, Japan, Panama, Canada, and the Mediterranean. While many routes are seasonal and some of them are frequented only specific times of year, upon special request, the United Yacht Transport Company will make a special trip. When and where there are boat showings, however, expect the UYTC to be traveling those routes often. How can the Yacht Transport ship boats via carrier ships? When a client is ready to ship their yacht, they contact us, explaining all the details and their desired destinations. When it comes time to send the boat, the size of it will determine how it is loaded onto the transport vessel. If the boat is larger and more cumbersome, it will be placed onto a trailer (or cradle, as some call it) and driven aboard the transport ship where it will be parked on the deck. However, if the boat is lighter, it can be picked up by a crane and placed onboard. What makes our Yacht Transportation the best? Since we were established in 2012, we have 30 years of combined experience, we are proud to not only be leaders in the business but are direct carriers who provide safe, reliable and cost-effective yacht shipping services. We are even rated as the safest shipping company, and provide the best insurance policy. We have even shipped more boats from the East to West coasts of North America than any other carrier. With one of the lowest boat shipping costs, we handle boats ranging in size from 30 feet up to 160 feet in length. We have loaded a 174-foot, 650-ton expedition yacht M/Y Ulucitcan. 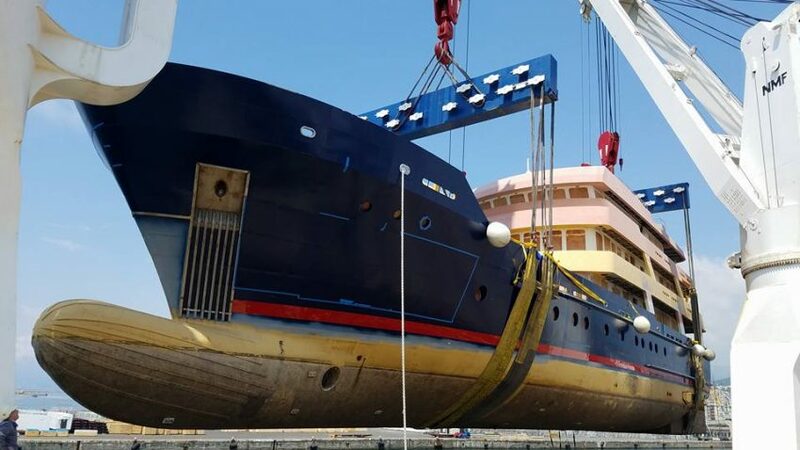 This set the record for the heaviest boat being lifted by any boat shipping company in over five years! We charter any number of ships, regardless of the size of the vessel or the route a client has chosen. This keeps everyone on track and gives our clients a reliable sailing schedule. Remember that with the United Yacht Transport Company, it’s always smooth sailing. We ensure that our customer service exceeds that of our competitors’ so call today for a free quote or go online to United-Yacht.com. Browse our website for deals, schedules, stories, and even our clients’ testimonials – check out what our customers, who have entrusted their boats to us, have to say about their United Yacht experience. Ask us about our 15% pre-booking discounts, too. Trust our boat transport to take good care of you! We can guarantee your peace of mind, knowing that your boat will be handled gently by our trained professionals. Expect timely and efficient deliveries, and never be late for a show again. Thinking About Using a Boat Shipping Service?